If I could go beyond 5 stars for Curtis Myers, I absolutely would. I first worked with Curtis when he photographed me and my then-boyfriend in Paris, during a friend’s wedding. Fast-forward a year and he was the first and only person who came to mind when we got engaged. I couldn’t have imagined anyone else capturing the day. Gary and I aren’t hams for the camera and we tend to get a little shy in front of the lens. Curtis immediately put us at ease. His flexibility is much appreciated, as even the most perfect wedding day has its schedule hiccups. I had been to several weddings where the photographer was a distracting presence…especially during the wedding ceremony. Curtis was the exact opposite. He becomes part of the fabric of the wedding day, folding into the nooks and crannies of every experience, capturing the moments that you don’t realize are happening and the ones you know you don’t want to miss. And of course, the end result is that we have pictures that represent the occasion beyond anything I could’ve imagined. 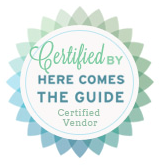 Curtis’s expertise is priceless and he is a must-have for any bride that values the memories of the day. Curtis: Wow. Thank you. You did a better job than I could have imagined. You captured special moments by making people feel comfortable and relaxed and your documentation of our special day was casual and fun- the photos are spectacular. They capture the essence of the day in a way that enhances our memories. I always assumed that wedding photographers were something to put up with. You and your group made the wedding more enjoyable and encouraged people to have a good time. Thank you so much. 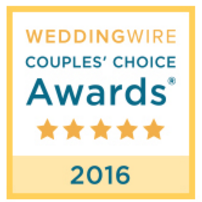 I can honestly say I did not have to think twice about the 5 stars given above for each category on my WeddingWire.com review. Come August, I will have worked with Curtis on 3 separate occasions, including my own wedding. What I expected in a photographer, were great photos. What I didn’t expect was his ability to calm our nerves, help ease our flow from ceremony to cocktail hour etc, and to have some big laughs during family portraits. Capturing a 225 person wedding is no easy task, yet he did it with a smile the whole time. Throughout the day, photos were taken organically, with minimal formality. The quality of the photos were exceptional, and we will be able to enjoy the digital copies for a lifetime. Thank you so much, Curtis! Curtis knows his craft. He’s a very professional and technically savvy photographer. But anyone can study light, composition and theory. Anyone can show up on time. What Curtis brings is something above and far beyond any of that. Just take one look at our wedding photos and you’ll see how fully invested he is in capturing each joyful moment to the fullest. He’s incredibly passionate, intuitive and makes you feel at ease. But we don’t have to tell you that. The images speak for themselves. 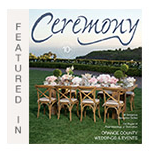 We hired Curtis Myers to photograph our wedding in Napa Valley, California. My wife and I had a very small ceremony so it meant that Curtis had less to work with so to speak (i.e., no guests, no bridesmaids, etc.). He did an absolutely fantastic job! He was exceptionally professional from the very start and even made the effort to Skype us twice before the event so he could get to know us (we live in Hong Kong and Curtis is based in California). The location of our wedding was Beringer Brothers winery in St Helena in Napa Valley. It is a beautiful location and Curtis captured that beauty in his shots. We were amazed with some of the photographs as he captured my wife and I in very natural poses. Those are my favourites because they are not forced in any way – just lovely shots of my wife and I who were oblivious to the fact that Curtis was taking those particular pictures. Overall, I would have no hesitation in recommending Curtis to any potential customers. I can honestly find no fault in anything that he provided and to top it all off, he is a super nice guy. Thanks again so much, Curtis! In planning my destination wedding, I knew I was in for a lot of work when it came to hiring vendors from 2,200 miles away. Curtis was highly recommended to me by the event coordinator at my venue and I am so happy I got to work with him. He was interested and attentive to the kind of pictures I wanted of my wedding day and we were able to work out the specifics of the contract via phone and email. When my fiance and I first met him on our wedding day, we were immediately at ease because we knew he had an eye for all of the special moments we wanted to capture. I was pleasantly surprised to see all of the pictures Curtis took of our wedding guests and families and even more taken aback at the gorgeous photos of my husband and I. We got our first glimpse of the photos less than a week after the wedding and had a copy of all the pictures within two weeks. We’ve received endless comments on how Curtis was able to catch such beautiful moments that we will be able to cherish forever and share with the guests who could not make it to the wedding. I would recommend Curtis to anyone who wants to work with a photographer who is able to capture the essence of the moment and provide you with memories as vivid as the day they were made. Both of our families love showing off our wedding pictures and boasting about how beautiful they turned out (they even made someone cry!)! Levi and I can’t thank you enough for giving us these beautiful pictures to remember our wedding day. And if I come across someone in need of a photographer, you will be my first recommendation. Thank you very much for photographing our wedding! Working with you to decide what we wanted was completely effortless and you were very helpful in answering all of our many questions. When it came to the day of the wedding, you and your assistant were incredible. You both were very professional and efficient while still making it fun. We also greatly appreciated the fact that you had the pictures finished a week and a half ahead of schedule! Thank you again for everything. Hiring you was definitely one of the best decisions we could have made and we will be giving your name out to anyone we know who needs a wedding photographer. Thank you so much for all you did photographing Chris and Kristine’s wedding. The photo sessions after the ceremony went smoothly and the pictures were terrific. Thank you for taking the time and having the patience to respond to our on-the-spot groupings. It is not often that everyone in the family is present for a photo. The effort you took in waiting for the right lighting and in taking Chris and Kristine to some different places at the venue were reflected in photos. My neighbor’s daughter just got engaged, and you were at the top of the list of people that I told the mother of the bride about! Thank you for memorializing one of the most important occasions in our lives. We are so grateful to you for capturing the warmth and happiness of our wedding. A gathering of a lifetime of friends and family is a dizzying gift, and we feel so lucky to be able to relive the night again and again through your photos. You have an amazing ability to make people feel comfortable in front of the camera and capture the emotion of a moment. And you were able to be seemingly everywhere without ever intruding. We are thrilled with the experience and our wonderful photos. Thank you so much! I cannot recommend Curtis enough. You made our day last forever, literally. We have all of their beautiful images of our wedding and engagement session all around our house. We even had a few printed on large canvas. And the quality never faltered. Our album has been passed around to friends and family and every time we get the same response: breathtaking. Thank you!! It was a pleasure working with you. Your easy demeanor relaxed us immediately. No one ever felt directed or intruded upon and your photos really captured the different emotions present throughout the day. Thank you for documenting the moments of our wedding in such a beautiful way, we couldn’t be happier with how they turned out. Our son’s wedding was the first on our side of the family so we wanted something extra special. That’s exactly what we got. Curtis was so warm and friendly, yet professional, and what impressed us is that he listened and delivered exactly the type of photos we hoped for. He showed all the joy, love and fun that was felt throughout the day. We have beautiful memories forever. When we viewed Curtis’ site for the first time, we were instantly struck at the quality and talent. Working with Curtis is easy- he has a rare combination of professionalism, and ease and it was really simple to work with him before and through our day. We were so surprised when we looked at our video later- there were so many times he got great shots and we had no idea he was there- he was unobtrusive while also able to completely capture the essence of the day, and our love- he has a true gift and talent. We received our images back earlier than we expected and were blown away by the quality and the outcome. You absolutely have to hire Curtis – such great work- everything you could hope for in capturing one of the most important days of your life! Curtis recently photographed my wedding and out of all the vendors I used, he was by far the best. He was super-responsive, very personable and professsional and unbelievably easy to work with. He even managed to calm down my stressed-out mother! Most importantly, Curtis’ work is absolutely fantastic too. His pictures truly capture the essence of each person which is why I hired him in the first place. He did not let me down either. There is not one picture out of the several hundreds he took that I don’t like. I have recommended him to everyone I know because I like him just that much! Curtis is a true artist and you can tell he enjoys his work. I looked at a lot of wedding photographers and once I saw his work, it stood out from all the rest. He has been shooting weddings for a long time and does a lot of destination work. It shows. He is attentive to details without making any photo look forced. Quite frankly, that is his specialty in my opinion- catching natural moments. His portraits are also stunning, but his ability to catch a whole moment in a photograph is amazing. Everyone can’t stop commenting about his work. You will not be disappointed. I selected Curtis after a phone call because I was from out of town. After meeting him in person, I felt so comfortable with him, I knew we would get great photos of our day. The day came and Curtis was nothing short of genius! He helped me through some of the timing issues we had and provided me peace of mind when I needed a reassuring word. But when my first glimpse came of the photos from our wedding day…….I was speechless. I couldn’t form words. The pictures were breathtaking! He caught fantastic candid moments, as well as all the beauty surrounding us that day during our standard wedding photos taken pre and post ceremony. Curtis delivered our photos exactly as he promised, even a bit earlier than! And I can’t not mention the little gift he gave this anxious bride – 75 picture slide show set to music just 4 days after my wedding! I am more than 200% satisfied with my choice in my wedding photographer! He is a true gentleman and a genius behind the camera.